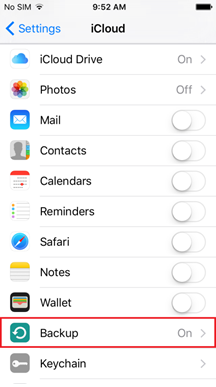 Click on the Settings app on the Apple mobile device. 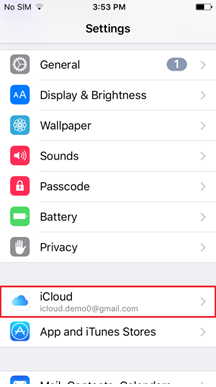 Scroll down to find the iCloud menu item, and then click on the iCloud menu item. Click on the Backup menu item. 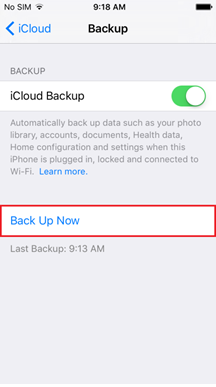 Click on the Backup Now option. The Backup will now take place over a period of minutes or hours. Your child's Apple mobile device will provide an estimated time of completion. 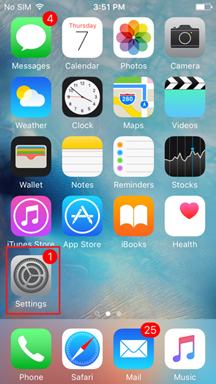 You will need to keep an eye on this timeline until the mobile device indicates the iCloud backup is successfully completed.